DocuWorld is one of the major event in the office automation (OA) industry. 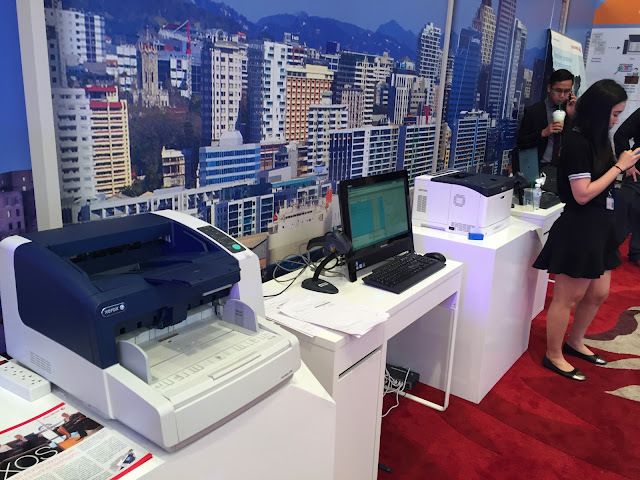 If you are familiar with OA, you definitely can associate that DocuWorld is a Fuji Xerox event. 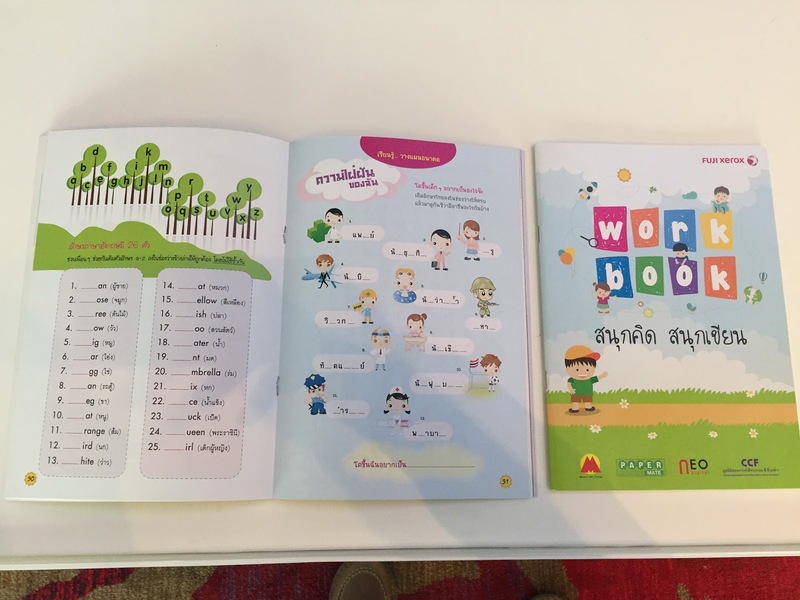 The Fuji Xerox DocuWorld 2017, Bangkok was held on 7-8th June, 2017. Touch screen panel for guest registration. Futuristic impression before even entering the show. 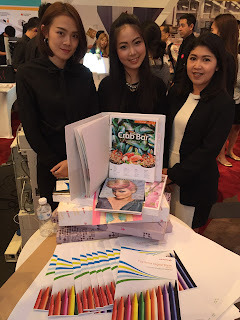 The organizer is displaying the offerings or applications in 8 sections. There are also a Green Business & CSR booth that display how Fuji Xerox practice green initiative in recycling all the used MFPs via their recycling plants across Asia Pacific. 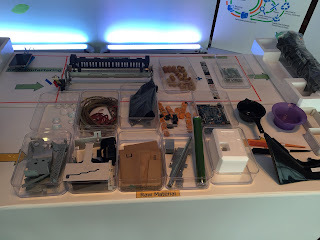 Parts that dismantled from MFPs for recycling or re-use. 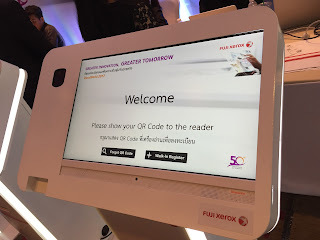 There is a lot of initiative done by Fuji Xerox Thailand to enhance the showcase like explaining the workflows via videos, wallpapers as well as getting third party software and hardware vendors like Roland, NeoPost, ORIS CGS, etc on the pre and post print processes. Fuji Xerox team also provides multi options on applications like users can opt for professional document scanner or MFP to scan the input of the documents during incoming process as well as getting a high end MFP like Apeos Ports series, or Versant 2100 for color prints. 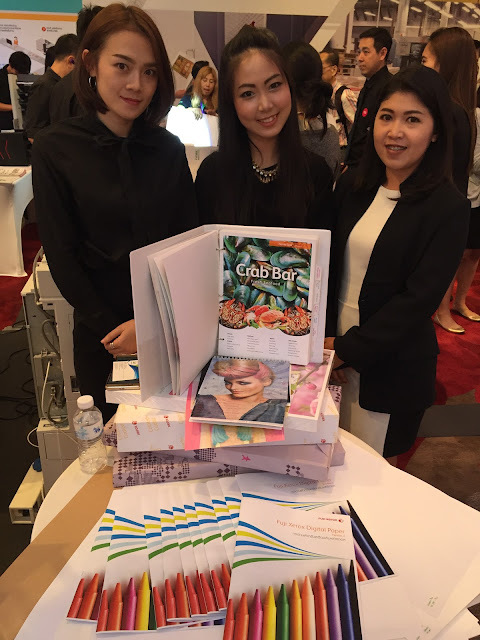 Sales & Marketing application, samples of application that can be produced by Fuji Xerox Production System Printers. 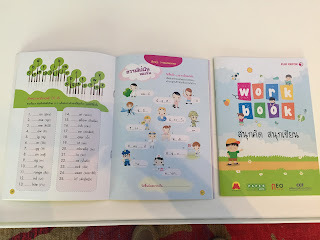 Can you spot the variable printing? 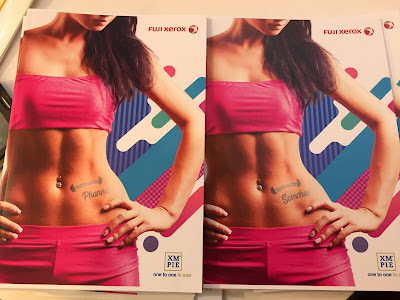 XM PIE enables variable graphic arts printing which is very important in sales & marketing these days. In short, it is definitely an eye opening show for users. I personally feel that this DocuWorld 2017, Bangkok is like a mini Drupa booth of Fuji Xerox. Beautiful Thai emcee is announcing lucky draw winners. The show is ending with lucky draws. 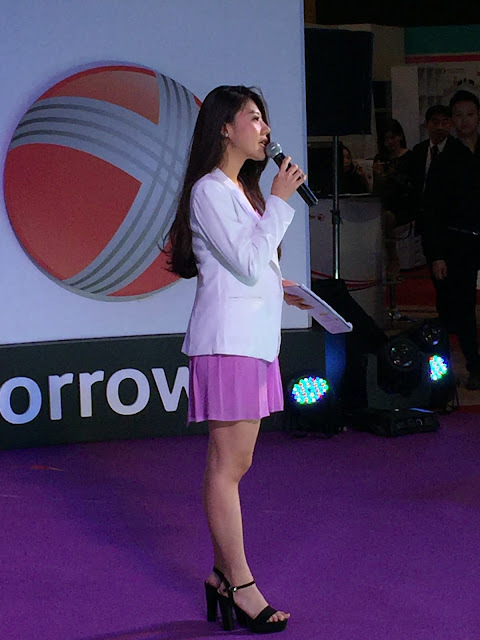 It will be a more successful or a more complete show if large format or wide format solution can also be showcase. Dear MT, The Fuji Xerox Docuwide did showcase at the Docuworld.